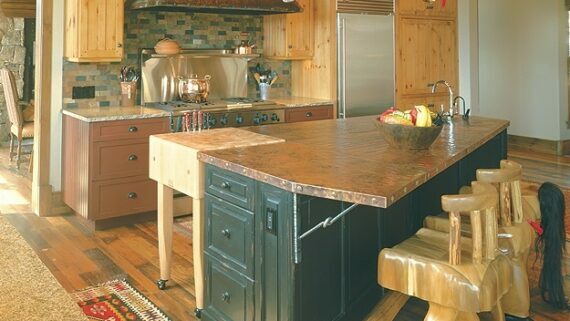 We can all agree upon the fact that one-of-a-kind custom kitchen cabinets are a great addition that can personalize your indoor space and give it a very special vibe. When it comes to fabricating gorgeous cabinets from scratch, you should know that the entire process is half art, half science. Comprising precise measurements and basic mathematical equations, but also tons of creativity and originality, their manufacturing stage leaves no room for quality compromises. Nonetheless, in terms of kitchen cabinetry ideas, some may argue that originality is dead, because everything has already been done before. Those who support this idea share a very limited vision. 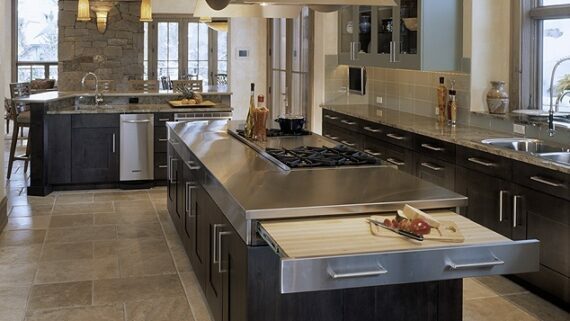 As a matter of fact, custom kitchen cabinets let you play with a great variety of textures, materials, shapes, colors and sizes and select the most suitable combination that matches the particularities of your indoor, but also your personal taste and specific aesthetic requirements. If you need a few great sources of inspiration to design your very own masterpieces, just take a closer look at the 3 suggestions listed below. 1) Video-Game Inspired Cabinets. Are you a huge fan of the old-school video games that were insanely popular in the 80s? If so, we may have some excellent news for you: architects are determined to bring them back, in the form of “floating” wall-mounted structures serving a very practical purpose. Due to their unique geometrical patterns, they resemble your favorite pixilated, ancient video games that made you used to play as a child. This design concept is truly outstanding and will manage to turn your kitchen into a gamer’s paradise. 2) Mid-Century Chic Cabinets. If you are a bit conservative and nostalgic and you’ve recently inherited your grandmother’s home that comprises a dull, old-looking, almost inhabitable kitchen, keep in mind that you can turn it into a fantastic, elegant and welcoming environment by simply reconditioning the cabinets. 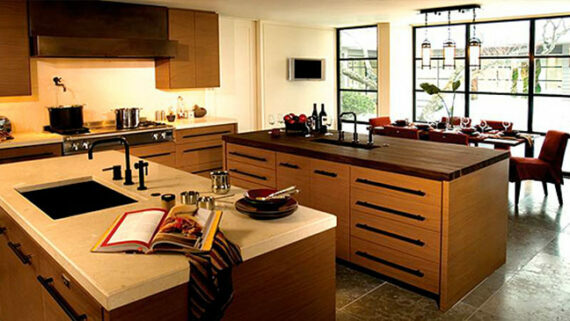 To make the entire kitchen pop, you can start by sanding and restaining the wood. After completing this phase, you can apply a fresh coat of pain. Go for powerful, contrasting tones, like green and orange for instance. This power duo will bring back the mid-century vibe. To complete the traditional, reinterpreted look, you can add a pair of midcentury, reclaimed lighting fixtures. 3) Italian Designs Based on Venetian Glass Decorative Details. If you don’t really like vintage designs and you’d much rather focus your entire attention on luxurious kitchen cabinets that could easily convert your indoor space into a royal chamber, don’t hesitate to borrow elements from different cultures. Italian furniture pieces are worldwide famous for their subtle sophistication and edgy design. 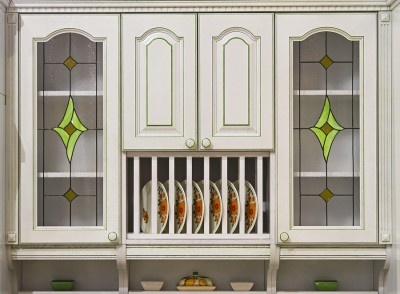 Beautifully shapes kitchen cabinets finished with premium Venetian glass mosaic will highlight your impeccable tasteand original design ideas that will most likely be complimented and borrowed by most of your guests. When it comes to recreating the feel of luxury, the black and white, black and silver and black and gold duos are always winning formulas. Nonetheless, you could always choose to combine different contrasting, intense colors to obtain a gorgeous stained glass effect. Sometimes, it is difficult to pursue your creative ambitions, especially when you plan to conduct an ample kitchen remodel project. This is why, in this particular situation, it may be better to consult an expert before putting theory into practice. No matter how intriguing, innovative or odd your design ideas may be, we would gladly help you implement them on time and on a budget. 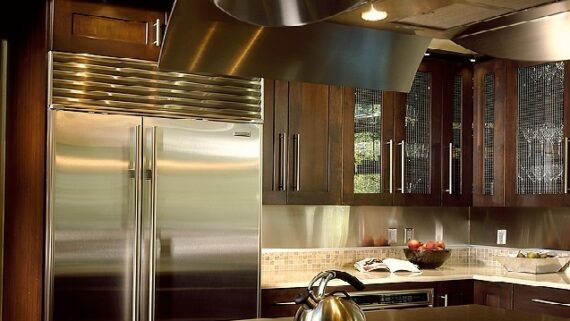 Just give us a call and let us upgrade your kitchen.